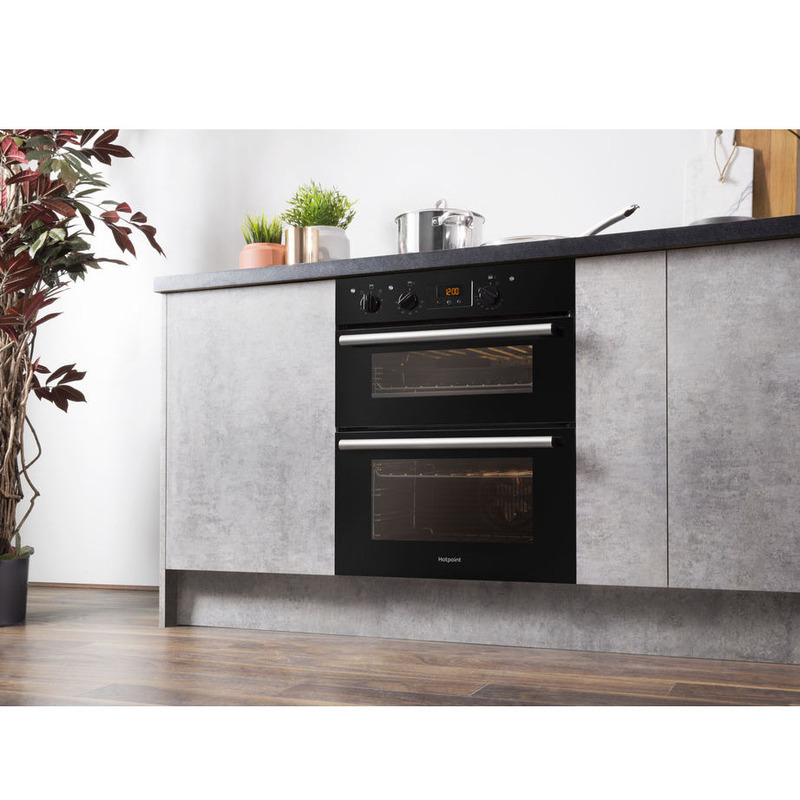 This Hotpoint Built Under Double Oven helps you delve into bigger culinary adventures with its super 59L of capacity in the top oven as well as three automatic functions to facilitate Multi-Level Cooking, Slow Cooking and Defrosting with ease. 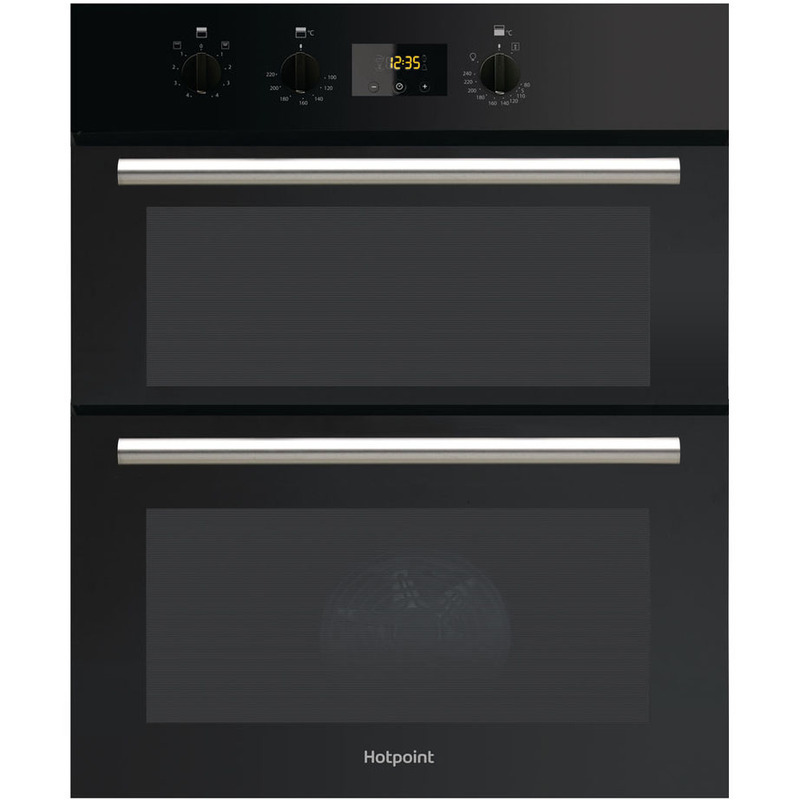 Finished in a modern gloss black, this appliance will feet seamlessly into your kitchen. 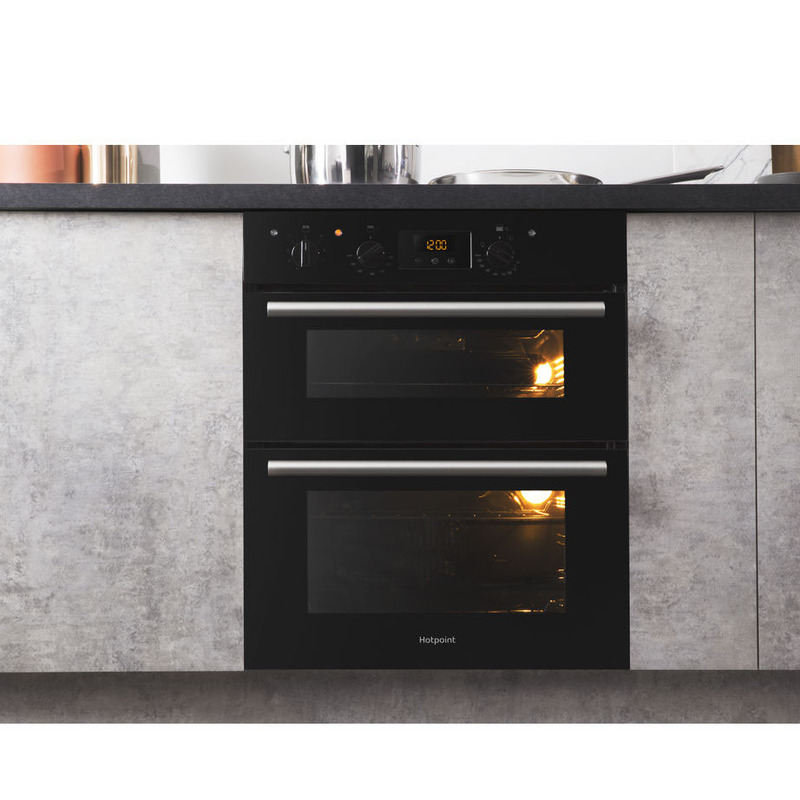 Ensure an even temperature throughout your main oven with Circulaire fan cooking, which circulates an even temperature throughout all levels so you can avoid over and undercooking. Prepare deliciously crispy meats and vegetables under the twin variable grill, which allows you to tackle more versatile recipes. 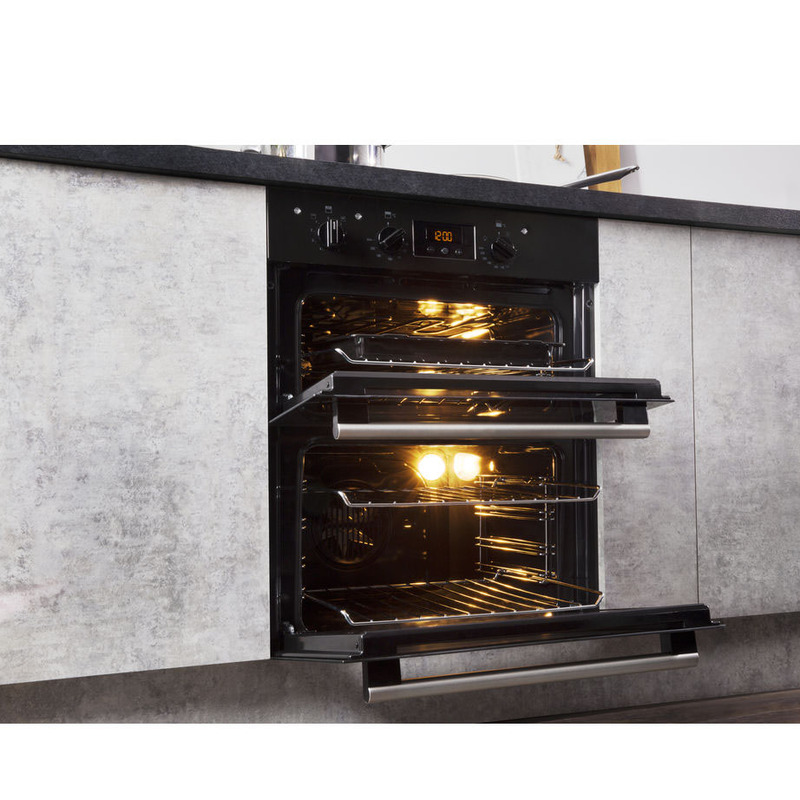 There’s no need for hours of scrubbing or expensive cleaners as the easy clean enamel liners prevent food and mess from burning onto your oven side walls. As they are featured in both oven cavities, all you’ll have to do is wipe away any residue with a damp cloth. 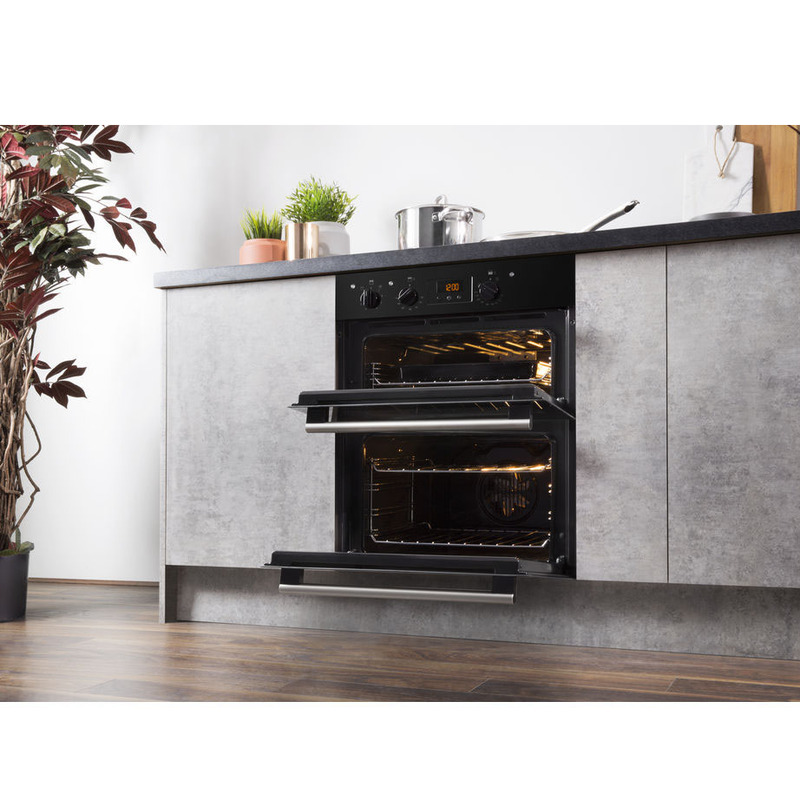 Prevent potential accidents and burns as both cavity doors feature triple-glazed glass, which insulates the heat inside your oven and keeps the exterior cool to the touch, which is especially important with young children in the kitchen.